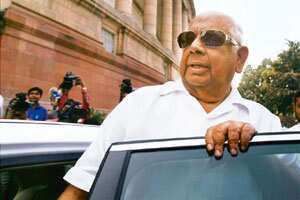 New Delhi: The rift between Lok Sabha Speaker Somnath Chatterjee and his former colleagues in the Communist Party of India (Marxist) or CPM widened with the speaker threatening to resign, saying members of the Left party had been “targeting" and “torturing" him. “For days, you have been questioning the chair. I am ready to go here and now if the House wants," an upset Chatterjee said in the House. Chatterjee’s outburst came when CPM member of Parliament Basudeb Acharya questioned the Speaker’s decision to deny his move to raise in the Lok Sabha the issue of violence against minorities in Orissa and Karnataka. The Speaker had a face-off with the CPM on Wednesday when the party argued that the Speaker’s suspension of its member A.P. Abdullakutty for a day from the House for disrupting proceeding was discriminatory. Chatterjee, who was elected to the Lok Sabha on a CPM ticket from West Bengal’s Bolpur constituency, was expelled from the party on 23 July for not resigning as Speaker after the CPM and other Left parties withdrew their support to the United Progressive Alliance government over the India-US civilian nuclear deal. “It is unfair for the speaker to say that he has been targeted," CPM politburo member Sitaram Yechury said while defending the stance of his colleagues. According to members present in the House, the remarks by Gurudas Dasgupta, Communist Party of India member of Parliament (MP), claiming that the speaker was using his authority to deny the Left motion had also provoked Chatterjee. However, according to Speaker’s office, Dasgupta later apologized to Chatterjee. Defending the speaker, V. Kishorechandra Deo, senior Congress MP, said, “The Speaker has been giving opportunity equally to all the sides. If you have disrupted the House and could not speak, you cannot blame the Speaker."